Gorgeous bookmark. Love those pretty papers and that girl is very pretty! 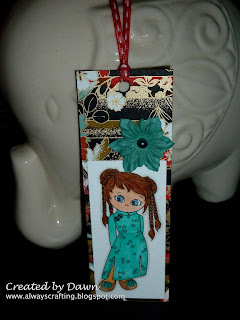 Aww this is sweet Dawn, great bookmark and cute image.